I am committed to working for personal and global peace for all citizens and life in our world. On the NEW VISIONS FOR PEACE show, I will bring you information and inspiration for living a peaceful life. I believe that the consciousness needed to create a peaceful world begins in each one of us. We are the agents of change. On NEW VISIONS FOR PEACE I will speak with the very inspiriational authors, teachers and practitioners who are sharing the ideas and practices that support both inner and global peace. For personal reasons, I have suspended creating new podcasts, but I feel that the ones I have co-created so far with those I interviewed all have valuable, interesting and timeless insights. 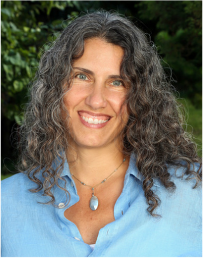 I had an engaging and thoughtful conversation with Lisa Schumacher about Gangaji, Eli Jaxon-Bear, integrity, love, awakening, discovering happiness and being true to yourself. Lisa has through her 20 years of study with Gangaji and Eli Jaxon-Bear, gained a unique insight into what it takes to be free. For the last 6 years Lisa has traveled around the world to meet with people in small groups in service of Awakening Freedom and to share the open invitation to realize what is eternally present in the core of all being. I had a truly wonderful opportunity to sit with Gangaji and ask her the questions I have been pondering for my evolution. I hope you will find her answers as helpful and insightful as I did in this open and mindful conversation about truth, prayer and the fulfillment that comes through inquiry. Gangaji travels the world speaking to seekers from all walks of life. A teacher and author, she shares her direct experience of the essential message she received from her teacher, Papaji, and offers it to all who want to discover a true and lasting fulfillment. Through her life and words, she powerfully articulates and helps others see how it is really possible to discover the truth of who you are and to be true to that discovery. She offers the possibility of the great freedom and joy of living this life of conscious inquiry. Sutree hosts a panel discussion with Carole Marie Downing, Erin Donley and Karen Keeney on the importance of Conscious Evolution for ourselves, our families and community and our global community. The whole woman, the universal woman, the evolutionary woman, the feminine co-creator is now vital to the survival and evolution of our whole species. Carole holds a Nursing Doctorate from the University of Colorado and provided care in the areas of pain management, hospice care, integrative medicine, and nursing education. After ten years in healthcare she went back to school for a Masters in Spiritual Psychology from the University of Santa Monica and a post-graduate certificate in Consciousness, Health and Healing. Later Carole became a certified parenting coach and loves supporting parents to find joy and play no matter how challenging the conditions can be at times. Carole provides heart centered professional coaching for individuals; specializing in peaceful parenting, grief and loss, and wellness and life balance. She is also in the process of publishing a book on grief to be published in May entitled: Singing the in Company of Sorrow: A Year of Grief, Gratitude and Grace. Erin Donley is a Communication Expert who began her career as a sales executive and worked in media for nearly a decade, winning sales awards and earning a lucrative income. She left sales to become a columnist for a personal-growth bookstore, where she interviewed hundreds of thought-leaders in healing, spirituality, and coaching. When she saw that even they struggled to find their voices and be understood, she launched her own copy writing business to assist them. With her help, they began to make more money, find dedicated clients, and close more business deals. Erin then returned to the corporate scene with trainings, keynotes, and coaching, to work with executives who wanted to gain more respect, build greater rapport, and get consistent results through their careful choice in words. Erin has now created a new training program, “How Should I Handle This?” to help women remove communication blocks, so they can be taken seriously for jobs and promotions, go after clients that they want, and generate the response they desire from their written and spoken words. Karen Keeney loves living on the cutting edge of evolution. That love inspired her leap from successful attorney to global teacher and practitioner of new paradigms of healing and transformation in 2003 when she became a beloved and respected teacher and practitioner with The Reconnection organization, helping thousands of people all around the world. 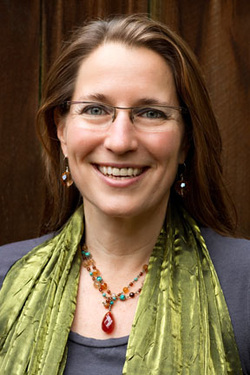 In 2011, she co-founded the Orion Network for Evolution and then co-created a visionary non-profit organization, Global Light Initiative, Inc. (www.GlobalLightInitiative.org) to help those who are disadvantaged or vulnerable to learn to use the light and frequencies of Universal Conscious Evolution and Healing. Professionally, Karen offers a variety of private sessions that can help people find greater health, ease and balance in their lives, and discover their unique path of evolutionary expansion. Some of the possibilities include the 111 ActivationTM, Universal Sphere®, the Reconnection® and Akashic Record readings. All except the Reconnection can be done at a distance and are available to people anywhere in the world. Host Sutree has a very informative and intricate conversation with Annam (Elle Collier Re) and David Sawyer about what neutrality is, How being in a state of neutrality is personally revelatory and how important it is to live fully and peacefully. (The Word 'Annam' is used as an honorary title and endearment. Annam (Elle) assumes, delivers, and pulses the Word of Absolute Love. to the direct and specific Logic that Utters and is full of Light. From age 7, Annam was awake to divine Word. At 17, a revelatory spiritual experience increased this capacity and began her lifelong commitment to God-centered awareness. Annam has been referred to as a midwife to the soul and a bridge to the God Mind within. She inspires us to true awareness and unity consciousness as she helps you to become your authentic divine self. Annam is a modern mystic for the student of life, Unity and the presence of the diving spirit. Dr. Mica Carew and Dr. Josie Schmidt talk about their upcoming workshop and the importance of balanced hormones for health and well-being. 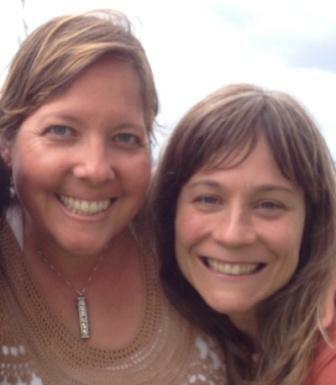 Dr. Mica Carew, and Dr. Josie Schmidt talk about their upcoming workshop: Still the Mind, Stabilizing the Hormones, An Introduction to Hormone Balancing and the Mind/Body Connection October 25th and 26th which will be held at Cannon Beach Yoga Arts on the Oregon coast. Hormone imbalance can manifest in the following ways: Incontinence, weight gain, blood sugar imbalance, menstrual disorder, menopausal symptoms, anxiety and sleep disorders. Doctors Mica and Josie will teach natural gentle ways to bring your hormones back in to balance. Dr. Mica Carew has been a licensed naturopath and acupuncturist since 2000. Her practice weaves together her traditional Native American upbringing with her formal training in Chinese medicine. She has created a meditation called the "Living Grace Meditation" that reflects the same alchemy of ancient traditions that she utilizes in her practice. 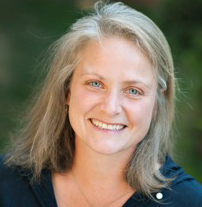 Dr. Josie Schmidt, ND is a Naturopathic Physician from Portland, Oregon. She graduated from the National College of Naturopathic Medicine and has been in practice since 2002. She has specialties in Herbal medicine, Homeopathy, Nutrition, and Detoxification. Most recently, she has traveled extensively teaching her passion of Daily Wellness utilizing our most potent plant medicine: Certified Pure Therapeutic Grade Essential Oils. To learn about or to register for the Stilling the Mind, Stabilizing the Hormones workshop go to www.cannonbeachyogaarts.com or calling 503.440.1649. 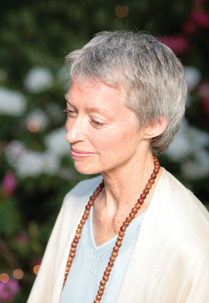 Nexus Nichols talks very personally about her experiences with Gangaji and the upcoming event with Gangaji in Portland, September 27th & 28th. This is a great opportunity to hear first hand what it is like to spend a weekend with Gangaji and experience both the wisdom and invitation she offers. Each one of us has the capacity to discover the living freedom within. Looking past the mental veils that create suffering in our daily lives, we can choose to live a true and authentic life until our last breath. Using the gift of self-inquiry, Gangaji will support you in cutting through the egoic strategies of seeking control, and invite you to open to the effortless simplicity of lasting fulfillment and peace—the truth of who you are. The weekend program includes of two meetings with Gangaji and an afternoon video program each day. Chairs will be provided in the meeting hall, but you are welcome to bring a cushion or backjack to sit on the floor. 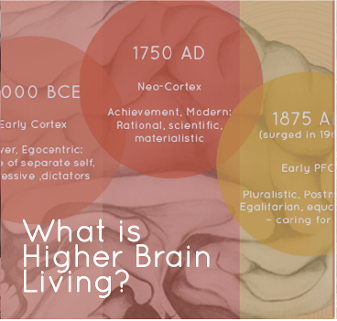 I had a very interesting talk with Douglas Bingley and Dianne Fouts about Higher Brain Living, a new process to activate the "Higher Brain" or Pre-Frontal Cortex, from which we can live with much less stress and far more creativity. 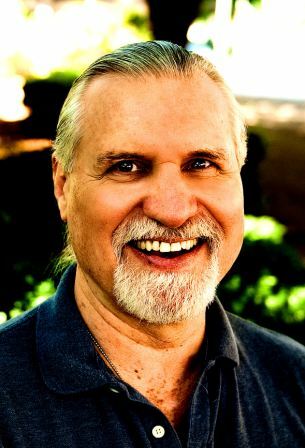 Douglas Bingley originally trained and worked as a LMT 23 years ago, became a breath work facilitator in re-birthing, then a certified teacher and practitioner of Still-point Breath-work and Aramaic forgiveness process under Dr. Michael Ryce. Doug was trained by Steven Thayer as an Integrated Energy Therapy Master facilitator, and added that work to his skill set. He most recently became aware of Higher Brain Living® , a revolutionary new personal empowerment technique developed and refined over 30 years by Dr. Michael Cotton. Doug sought out and was trained by Michael in 2012 in Higher Brain Living® and is now enjoying offering the Higher Brain Living® personal development program along with Dianne Fouts at the NE Portland Awaken Higher Brain Living™ center. It is his heart passion to join with others in healing and personal transformation. Dianne Fouts, RN, PHN has 30 years of experience working in Maternal Child health in a variety of settings. 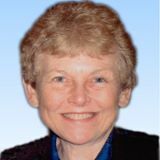 Her most recent work was at Woodwinds Hospital in Woodbury MN, where therapies such as acupuncture, aromatherapy, guided visualization, Healing Touch and Reiki were provided to all patients desiring them in complement to traditional Western medicine. She completed certification in Healing Touch in 2007 through Healing Touch International, as taught by the late Janet Mentgen, and served patients in all areas of the hospital with that modality in addition to her usual work in Labor and Delivery. She was trained in Higher Brain Living® by Dr Michael Cotton in 2012, and continues to enjoy her passion for helping people to empower themselves and achieve their dreams. I had a very helpful conversation with Rebecca in which I learned some great new tips about EFT and how it can be used for healing and for cravings. Rebecca has been using various forms of energy work for the last ten years. As a result of an unexpected cancer diagnosis at age 26, She started receiving Reiki treatments and eventually became a Reiki Master herself. Rebecca went on to learn BodyTalk, Jin Shin Jitsu, acupressure, and finally Emotional Freedom Technique. She found that EFT was the modality that brought the fastest results and the greatest relief in the shortest amount of time. 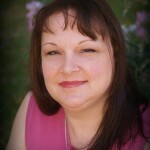 Rebecca became a certified Emotional Freedom Technique practitioner in 2011, and went on to study Matrix Re-imprinting to help her clients achieve even faster and more lasting results. Now she uses EFT to help the growing community of Zumba® students she teaches at Brilliant Body PDX (www.brilliantbodypdx.com). Her newest program -- Collapse Your Cravings... without completely freaking out: A Super Awesome Guide to Stopping the Sugar Monster in its Tracks is a combination of tapping, coaching, education, and little known tricks to tame the inner sugar monster and to regain control over eating again. You can find more information at www.collapseyourcravings.com. I had a wonderful and informative conversation with Kat Dunn about The Emotional Freedom Technique during which we conducted a sample EFT/Tapping session. Kat Dunn is a gifted energy healer especially skilled at utilizing EFT, The Emotional Freedom Techniques, for the law of attraction and abundance. She's completed Pranic Healing training levels I, II and III as well as EFT Certification levels I, II and III and Reiki second degree. I had a great conversation with Hillary Larson about Gangaji, what it's like to attend and Open Meeting and Retreat with her and how profoundly Gangaji has affected Hillary's life and consciousness. 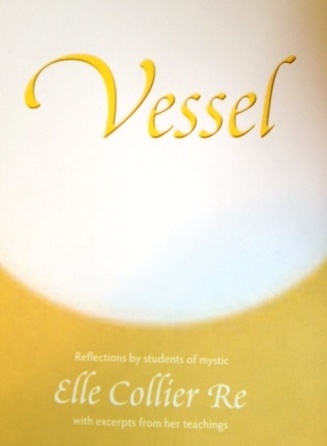 Gangaji is a teacher and author, who shares her direct experience of the essential message she received from Papaji and offers it to all who want to discover a true and lasting fulfillment. Through her life and words, she powerfully articulates how it is really possible to discover the truth of who you are and be true to that discovery. I had a very interesting and helpful conversation with Erin Donley, a communication specialist about the importance of conscious communication. Erin Donley is a connection queen in Portland, Oregon. She's known for helping businesses and individuals gain respect, rapport and results with their words. Erin was a media sales executive for several years, until she left seeking role models who could show her when (and how) to swallow her pride or express her views -- carefully and professionally. This led her to the spiritual hub of the Pacific NW, New Renaissance Bookshop, were she created a hugely successful email column designed to showcase the store's books and products. This became a gigantic money maker and put deserving healers and authors on the map. After witnessing the struggles of those who live "consciously," Erin started a business called Marketing Your Truth. In this venture, she strengthened the sales and authenticity of hundreds of thought leaders. This led her to create a TV show called, Reveal What's Real, where her goal was to remind the world of the GOOD that happens when we can speak about the things in life that are hidden, uncomfortable and difficult. 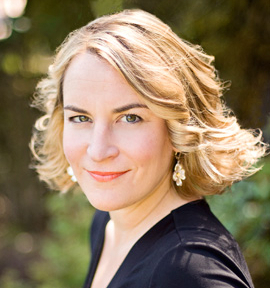 Today, Erin is professional speaker and business communication trainer. Companies hire her to boost the skills and confidence of each person in the workplace, and to help them realize how much their words matter... and how important it is to choose them wisely. Sutree hosts a panel discussion on the importance of Conscious Evolution and Awakening for our global community and is joined by Jen Davis, Esateys Stuchiner and Karen Keeney. Esateys (pronounced e sa tease) is a Visionary, Teacher, Speaker and Entrepreneur. For over 30 years she has been facilitating and guiding people to access their greatest potential and self-empowerment. Her focus is to help individuals create True Connection, Balance and Unlimited Abundance and Success in all areas of their lives. Esateys teaches that the integration of a peaceful, connected and an aware inner world translates into an abundant fulfilling outer world. Her life-changing products, teachings and programs are both grounded in the business sense and extremely powerful when viewed from a macro standpoint. Karen Keeney loves living on the cutting edge of evolution. That love inspired her leap from successful attorney to global teacher and practitioner of new paradigms of healing and transformation. In 2003, after practicing law for many years, Karen came across a new form of healing and set off on a new path. 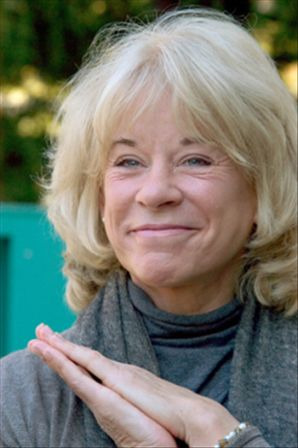 She became a beloved and respected teacher and practitioner with The Reconnection organization, logging hundreds of thousands of air miles and helping thousands of people all around the world. 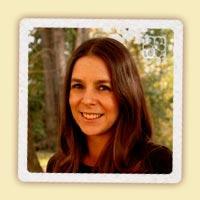 In 2011, she co-founded the Orion Network for Evolution with some friends and colleagues. She was excited and honored to play a key role in discovering and sharing more new ways to ignite evolutionary expansion. Following her passion to make universal frequencies of healing and transformation available to financially challenged and otherwise oppressed and vulnerable people, Karen then joined forces with other friends and colleagues to co-create a visionary non-profit organization to do just that. Global Light Initiative, Inc. is on the launch pad and will soon take off on its critical worldwide mission. 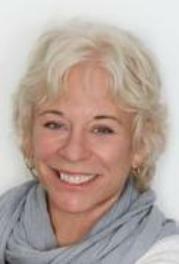 Professionally, Karen offers a variety of private sessions that can help people find greater health, ease and balance in their lives, and discover their unique path of evolutionary expansion Some of the possibilities include the Reconnection®, 111 ActivationTM, Universal Sphere® and Akashic Record readings. The list continues to grow. All except the Reconnection can be done at a distance and are available to people anywhere in the world. Currently, she serves as the Vice-President of the Board of KBOO Community Radio. She has co-founded a school, also started a homeschooling co-op, served as Art Director for Orlo Environmental Arts Organization, and worked in film and as a multi-media visual artist. A mother of two, she believes our conscious evolution on this planet begins with respect for, and connection with, children and nature. Host Sutree has a very interesting and enlightening conversation with Annam of The HeartGate Sanctuary just outside of Hood River Oregon. I had a sweet conversation with my friend Holly Pruett about celebrating our lives, transitions and momentous occasions with intention, love and a little help from someone who is trained in ceremonial history and culture. For nearly 30 years, Holly Pruett has been a community organizer, serving as a leader in and consultant to the nonprofit community in Oregon and nationally. From ten years of work with survivors of domestic and sexual violence in her 20s, Holly has gone on to work for the LGBT community, on racial justice and environmental issues, and for stronger schools and social services. She has also worked for many years in the summers at the Michigan Womyn’s Music Festival, as a production assistant and office coordinator, and where I had the great privilege of getting to know her better as we worked together. Three years ago she enrolled in the Celebrant Foundation and Institute, where she spent eight months studying all aspects of Celebrant ceremony design and delivery, an gained an incredible network of mentors and colleagues who see themselves as "rites of passage activists". Now, as a certified Life-Cycle Celebrant, Holly offers her skills to individuals, families, organizations, and communities to mark meaningful life passages from cradle to grave. This is the second conversation that I had with Matthew, focusing more in detail on how the Oneness Blessing facilitates Awakening. 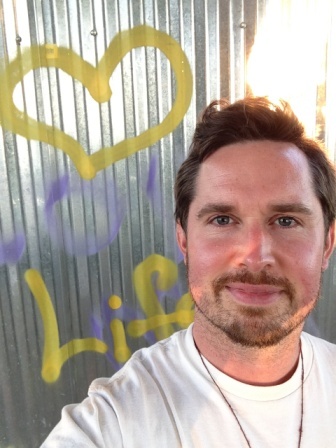 Matthew McCarthy is a Oneness Trainer, body-worker, musician, and life coach for both individuals and work place professionals. He has been receiving the Oneness Blessing since 2008 and began giving the blessing in 2009. Mathew’s website is www.resoundinglife.com. Host Sutree talks with Tom Hudson about his life and his work, E.A.S.E: Expressions of Associative Stress Energies”. 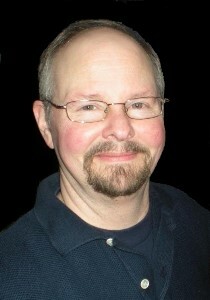 Tom has been working as a professional facilitator of alternative health care and spiritual counseling for the past 23 years. He has developed a very powerful system of emotional stress release called "E.A.S.E: Expression of Associative Stress Energies", through which hundreds have benefited as they are relieved of a wide range of symptoms of Post-Traumatic Stress Disorder. Tom Hudson has been empathic since a small child. His first career as an X-ray technologist started him on his path as a healing professional in 1970. Later he studied the biochemistry of metabolism and cellular biology at Colorado State University in graduate school. At 40 he attended the Myotherapy Institute of Utah where he learned massage, embracing alternative methods of healing, and taught anatomy and physiology. While there he became certified in a variety of bodywork modalities. Tom lived in Holland for almost four years working at “de Hoff van Axen” center for alternative healing. After returning to the United States he was ordained a Minister of the Universal Life Church and became a Reiki master in 1995. 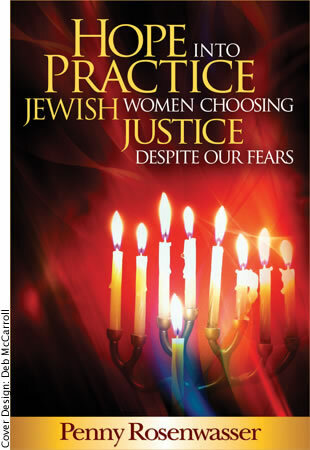 HOPE into PRACTICE responds with a rare blend of healing stories, fascinating history, and a fair-minded perspective on Israel-Palestine—asking us to love ourselves enough to face our fears without acting on them. Working through internalized oppression, we can link personal healing with social justice—enabling us to fight more effectively, as visible self-loving Jews, to change systems that are immoral and unfair. Anchored in Jewish ethical tradition and community, this book is an activist’s call to create a more just and generous world. Includes an action-oriented Reader’s Guide, for groups or individuals! 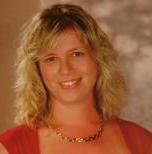 Lisa has been a professional licensed massage therapist for over 9 years and loves it. She is trained in classic Swedish massage techniques as well as Trigger Point Therapy, Therassage, Reiki II, Quantum Touch, SET, EFT. Sutree talks with Sunil Varma of Results Based Hypnotherapy about his work to help people live in harmony with life and their true selves. Sunil Varma of Results Based Hypnotherapy, located in Portland OR, And I am a Relationship Specialist. He was first drawn to healing work when he was diagnosed with a serious illness as a young man. This personal journey offered him a deep awareness of how learning to correct the imbalances within us can irrevocably change our life. For 20 years Sunil passionately explored energy work, self inquiry and hypnosis and found that in a deeply relaxed state anyone can access the power of their unconscious mind and deeper self to make radical shifts quickly and permanently. 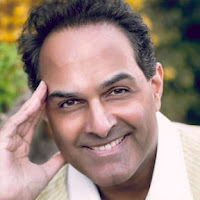 Through deep listening, compassion, keen intuition and insight Sunil helps each person identify the limiting beliefs, negative patterns and self-sabotaging thoughts that keep them from stepping into their own power. Each session is tailored to the specific needs of the client and may include hypnotic suggestions, positive imagery, NLP techniques, energy work (spiritual healing) and lastly age regression. Sunil’s one-of-a-kind holistic approach is unique as it supports those he works with in reclaiming their inherent brilliance and achieving their fullest potential. Sutree talks with Eric Altman about Heart Field Healing, distance healing, spiritual self responsibility and emotional intelligence, as well as his work with Portland's homeless. Eric thinks of himself as a loving, playful conduit for divine energy and so encourages each person he works with to take 100% credit for the teachings and healing they experience. Eric is the founder of Living Peace International, based in Portland, Oregon. Living Peace International was established to reach the largest number of people possible. Eric devotes his life to working with people of all ages facing every possible challenge physically, psychologically and spiritually. He offers both individual and group sessions. Eric also does distance healing nationally and internationally. Because he is committed to bringing healing work to all communities around the globe, he donates 50% of his time free of charge. For over 30 years Eric has taught spiritual seekers and non-seekers a clear, simple and dynamic path to awakening. He has helped thousands of individuals pull back the bow and swiftly and accurately fly straight to the core, breaching what is keeping them stuck. 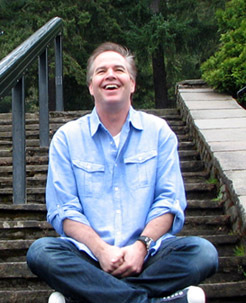 Eric’s teachings transcend dogma and are not confined to any one spiritual tradition. His clients do not lie for months on the couch – they have signed up for the fast track to freedom. Sutree talks with Eller Collier Re about her work, her insights and the divinely inspired wisdom that comes through her. Elle awakened into Unity consciousness in her early 20's. For the next two decades, her life revolved around prayer, meditation, zen practice, and independent spiritual inquiry until her mind became fully accessible to the Emanating Spirit of Divine Counsel. Elle is fully awake to the Divine Word, and has become a bridge to the Godmind within. She is a midwife to the Soul, assisting all in bringing forth their prime Design and Path. Elle resonates to the quality of Light of each person, responding empathically and telepathically to the nature of both human and soul, and inspiring us to True Awareness. In this Gatework, we are immersed in the divine theme of Being, and taught to live in a way that is Divinity reliant and at-one with the Core Self ... the God-Essence within. The awakened individual is freed of negative concepts and able to live in interactive communion to the Whole. These experiences of unity consciousness merge the Sublime Truth into the logic and point the way from separation into Unity. The purpose of INEI ~ RE is to assist all who seek transcendence. This is an extraordinary, powerful training. It provides the path through the many veils of partial truth, and enables those who are delvers into the mysteries of existence to consciously discover the miracle of the divine Soul of All, and their own sacred Core. 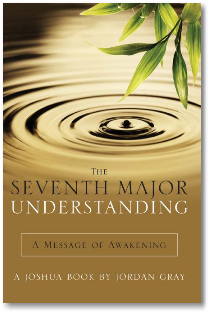 Host Sutree continues her conversation with Jordan Gray, co-author of The Seventh Major Understanding, A Message of Awakening. The Seventh Major Understanding brings a modern Golden Age into focus. Joshua, a nonphysical being, shares fascinating ideas about humanity’s path out of the age of material accumulation into an age of peace, love, abundance, and understanding. Joshua’s views differ from traditional wisdom. He takes a fresh look at spiritual and metaphysical concepts, and he urges us to transcend the boundaries of world religions. Joshua builds upon our ability to create our personal and global reality. Awakening to our oneness with All That Is, is the path to a new way of life. The Seventh Major Understanding shines a light on our path into a brighter personal and shared reality ­­– a new Golden Age. 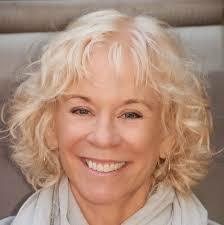 Host Sutree interviews Laurie Ogle on EFT and addiction recovery. Laurie Ogle has spent the last two years working and studying with Lori Lorenz of the EFT Training Center for Trauma and Abuse in Southern Oregon. She has also spent the last twenty years involved with AA on her own path to recovery. After relapsing four times Laurie came across EFT, also known as Meridian Tapping, and it changed her life forever. Laurie states that while AA is very good in many ways for recovery, it does not address childhood trauma and abuse, which can sometimes be at the root of addictions. EFT facilitated her own recovery in incredble and transformative ways. As Laurie says, "It saved my life". 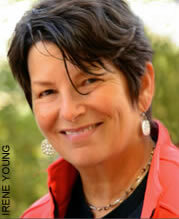 Host Sutree interviews Melisa Noel on EFT, trauma and our natural recovery process. Melisa has an EFT practice specializing in trauma recovery coaching with survivors and practitioners in Europe and the U.S. Additionally, she combines her consulting, facilitation and public speaking experience with her trauma recovery expertise to bring new trauma recovery techniques into awareness among practitioners, survivors, organizations and communities. Her passion is to fuel the conversation about our Natural Recovery Process, the science behind it, and the tools/techniques that support it. At the end of this interview, Melisa gives us a brief introduction regarding dialogues on new paradigm leadership practices for leaders and entrepreneurs based on her years of experience in organizational and leadership development consulting - the topic of our next interview. Among her many organizational consulting projects, Melisa was the director of strategic planning for an initiative to support triple bottom line business practices through the U.N. Secretariat, Pathways to Peace. Melisa continues to consult leaders and entrepreneurs committed to projects that bring us into the 21st century, including new measures for professional and personal success that extend beyond the traditional "bottom line." She sees trauma recovery and new paradigm leadership practices as very much in alignment with working toward visions for peace. Melisa works through Skype, an easy and free for anyone, internet-based virtual meeting software. On request, she also meets with groups of practitioners, leaders and entrepreneurs virtually and in-person to present and facilitate dialogues among participants on all of these topics. Karen Keeney, Co-Founder of The Orion Network for EvolutionTM, LLC.Through a multi-dimensional partnership, Orion Network for Evolution aligns with the free flow of universal wisdom to co-create infinite expansion. Orion Network for Evolution’s vision is one of releasing the illusion of separation and reclaiming the true essence of unity with all that is, through the vibration of universal love. Playing joyfully in the energetic realm illuminates our true connection to source, accelerating universal evolution. Global awakening is unfolding now! Each of us is here to play our role in this adventure of transformation. The Seventh Major Understanding brings a modern Golden Age into focus. Joshua, a nonphysical being, shares fascinating ideas about humanity’s path out of the age of material accumulation into an age of peace, love, abundance, and understanding. Joshua’s views differ from traditional wisdom. He takes a fresh look at spiritual and metaphysical concepts, and he urges us to transcend the boundaries of world religions. Joshua builds upon our ability to create our personal and global reality. Awakening to our oneness with All That Is, is the path to a new way of life. The Seventh Major Understanding shines a light on our path into a brighter personal and shared reality ­­– a new Golden Age. 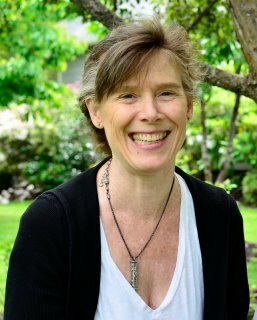 This first show is an interview with Hillary Larson, Regional Coordinator for the Gangaji Foundation about Gangaji and her upcoming Open Meeting In Portland on April 28th, 2012 at the Unity Church on SE Stark. Gangaji travels the world speaking to seekers from all walks of life. A teacher and author, she shares her direct experience of the essential message she received from Papaji and offers it to all who want to discover a true and lasting fulfillment. Through her life and words, she powerfully articulates how it is really possible to discover the truth of who you are and to be true to that discovery. This conversation covers what it is like to experience Gangaji in the Open Meetings as well as in retreat. We also play a small clip from one of those meetings where Gangaji talks about addictions.